Lachlan Lachlan Philpott is an award-winning Sydney based writer, teacher and dramaturg. He is Artistic Director and CEO of Playwrighting Australia. Lachlan’s plays have been performed across Australia and internationally including at: Sydney Theatre Company; Malthouse Theatre; Griffin Theatre; La Comedie Francaise; The Traverse Theatre; Edinburgh Festival; The American Conservatory Theatre; Crowded Fire Theater; Kansas State University; The Lark, New York; The Mac, Belfast; The National Theatre of Croatia; Troisieme Bureau, Grenoble; Red Stitch; Merrigong Theatre Company; Sydney’s Mardi Gras Festival; Midsumma Melbourne; Melbourne Festival; Hothouse Theatre; Urban Theatre Projects; and Australian Theatre for Young People. His plays include: BISON, BUSTOWN, CATAPULT, COLDER, IN 3D, LAKE DISAPPOINTMENT, LITTLE EMPERORS, LOST BOYS, MICHAEL SWORDFISH, M. ROCK, THE PINAPPLE WAR, PROMISCUOUS/CITIES, SILENT DISCO, THE CHOSEN, TRUCK STOP, WALTER, and THE TROUBLE WITH HARRY. Lachlan is currently under commission to adapt his plays M. ROCK, SILENT DISCO and THE TROUBLE WITH HARRY for the screen. 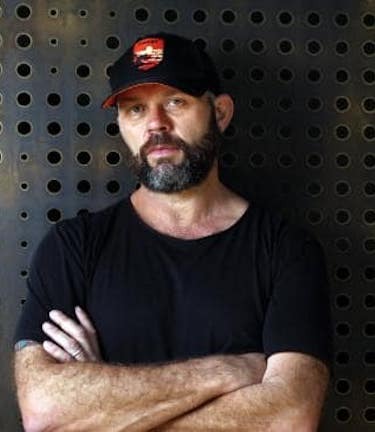 He has won three Australian Writers Guild Awards for his plays as well as numerous other awards and fellowships including Australian Writers Guild Awards for Best Play for Young Audiences for MICHAEL SWORDFISH (2017) and for TRUCK STOP (2014). Lachlan won multiple awards for SILENT DISCO including the Australian Writers Guild Award for Best Stage Play, the Griffin Award for Outstanding New Australian play, and the GAP Competition Aurora Theatre Co. USA. COLDER won the R.E. Ross Trust Award. He is nominated for a 2018 Australian Writers Guild Award for PROMISCUOUS/CITIES. Lachlan was awarded an Australia Council Cultural Leadership grant to study new play development models in the United States, United Kingdom and Ireland. He was the inaugural Australian Professional Playwright Fulbright Scholar 2014-15; and was awarded an Australia Council Keesing Literature Residency in Paris 2016-17 working with La Comedie Francaise and Maison Antoine Vitez. Lachlan has worked extensively as a teacher, mentor and dramaturg at theatre companies, schools and tertiary institutions around the world. Recently, he was dramaturg on HOME COUNTRY for Urban theatre Projects and Sydney Festival. Recent teaching residencies include at: American Conservatory Theatre, Edinburgh University and The Victorian College of the Arts. Previously program manager of Australian Theatre for Young People’s Emerging Writers’ Program, Lachlan has held positions as writer in residence at: Keesing Studio at The International Cite des Arts Paris, The American Conservatory Theatre San Francisco, Griffin Theatre Company, The Playwrights Foundation San Francisco, Newington College Sydney, Red Stitch Melbourne, and was part of The Traverse Fifty at the Traverse, Edinburgh. Lachlan was Chair of the Australian Writer’s Guild Playwrights’ Committee between 2012 and 2015. His work is published by Currency and PlayLab in Australia and Oberon in the United Kingdom.